Gujarat election in Porbandar is expected to be a tight battle with old rivals BJP's Babu Bokhiria and Congress' Arjun Modhwadia contesting against each other. 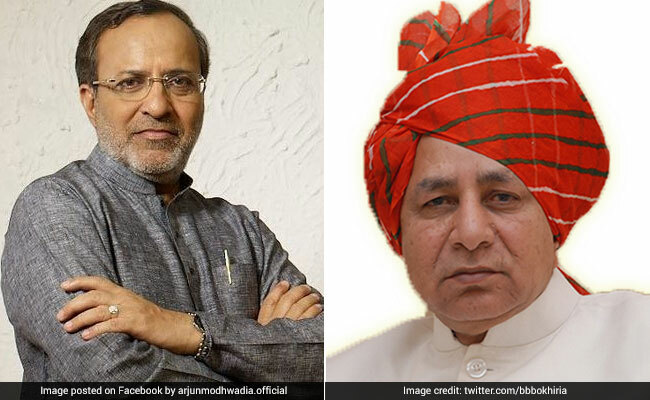 The Gujarat election in Porbandar is expected to be a tight battle with old rivals BJP's Babu Bokhiria and Congress' Arjun Modhwadia contesting against each other. Both the leaders have defeated each other once and are considered to be strongmen. With fishing community being considered as the deciding factor in Porbandar, the Congress is trying its best to woo them. Other than the fishing community, the Mer community that consists of the Bokhiria and Modhwadia, Brahmins and Lohans, the merchant caste, also form the voter base. The voter strength of the Mer community is around 70,000 while fishing community's voter presence is 30,000. Other than these communities, the Brahmins are 50,000 in number and the Lohanas have 20,000 votes. The support from the fishing community, however, remains crucial, with both BJP and Congress campaigning aggressively and claiming that they have the community's support. Mr Bokhiria, the present MLA, had also served as a cabinet minister in the Gujarat government. After serving for two consecutive terms, Mr Modhwadia had faced drubbing at the hands of Mr Bokhiria in 2012 by a margin of around 17,000 votes. This time, the Congress nominee campaigned hard to regain the lost ground. Congress vice president Rahul Gandhi interacted with the fishermen community and has renewed hope for the Congress, which has promised to address concerns raised by the fishing community across Gujarat. To woo them, the Congress has promised an increase in the quota of subsidized kerosene and setting up of a separate fisheries ministry if they are voted to power. Mr Modhwadia too has been campaigning among the community members and highlighting the "injustices" done by the BJP governments, both at the state and at the Centre. "The Centre stopped relief packages announced by the UPA government for the kin of fishermen kidnapped by Pakistani agencies while fishing in international maritime water limits," claimed Mr Modhwadia. "The UPA government had also offered Rs 11.25 lakh subsidy to buy new boats, and Rs 8.75 lakh bank loan at easy interest and Rs 100 daily allowance till the fishermen stayed in the Pakistan jails," he claimed. Mr Bokhiria, however, reject all the claims made by the Congress nominee. "The fishing community has no complaints from the BJP government. All their concerns have been addressed, and they are firmly with us," claimed Mr Bokhiria. "For the first time we have announced 150-litre monthly kerosene to the small fishermen, and a subsidy of Rs 25 per litre. Even during the last elections (2012), I had received their support," he claimed. Mr Bokhiria said that as the MLA, he managed to bring in development project worth Rs 5,000 crore and that changed the face of the city and rural area. Mr Modhwadia contests this, saying that city infrastructure is in shambles. Mr Modhwadia had won on this seat in 2002, defeating the then two-times MLA Bokhiria, and went on to win again in 2007, before Mr Bokhiria made a comeback in 2012. 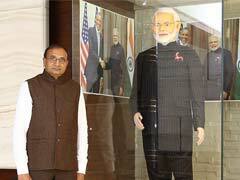 The second phase of the Gujarat election will be on December 14. The results will be announced on December 18.